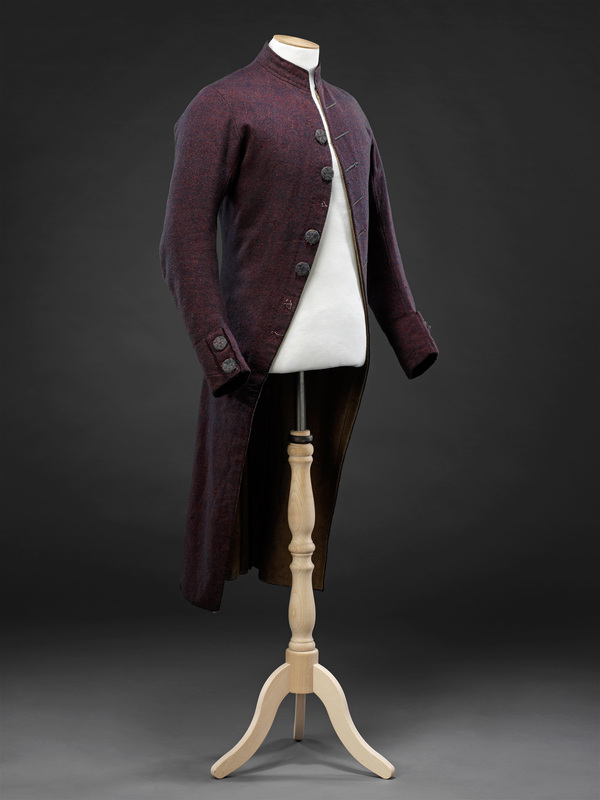 Made from unadorned practical wool fabric, this coat is characteristic of the everyday wear of conservative, reasonably well-off men. 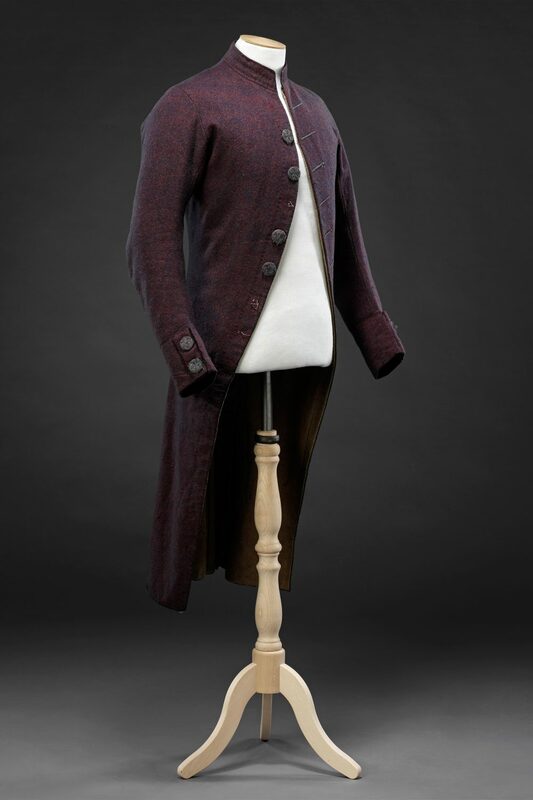 It is difficult to date conservative styles precisely, but the beige coat (see Related Items) is typical of the middle years of the 18th Century, and this purple coat is characteristic of the closing years of the century. 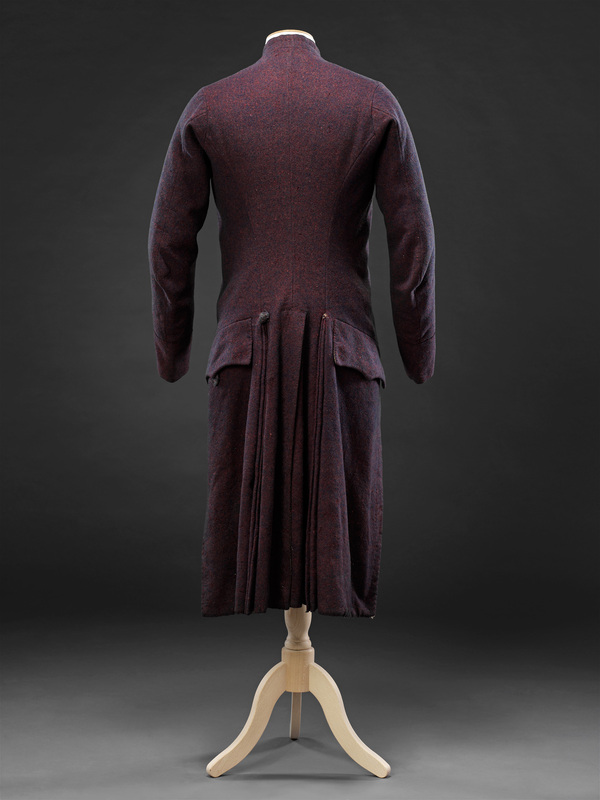 The contrast between the two styles is marked, the later coat having a slimmer body and sleeves, smaller cuffs and a collar, and its front edges curve much further back into a narrow skirt section. 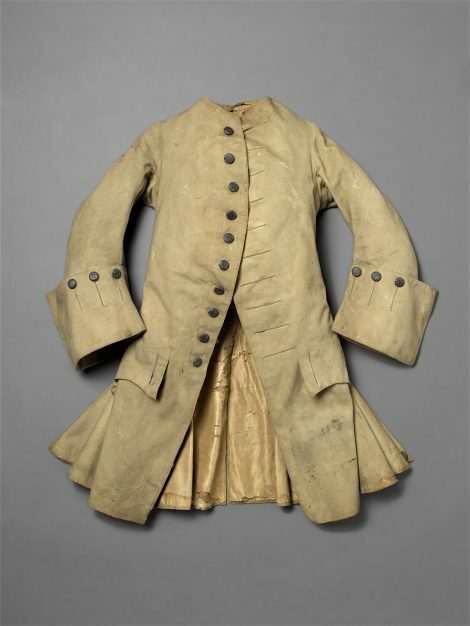 The beige coat is lined in silk which is badly perished, allowing the buckram interlinings, so important for the correct hang of the skirt, to be seen. 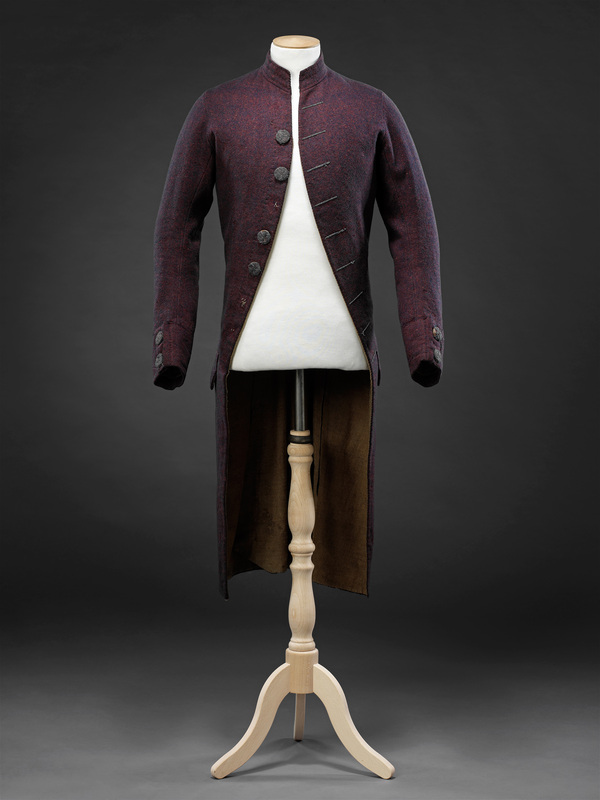 The linen lining of this purple coat is very coarse, yet there is much subtlety in the colours incorporated into the wool cloth, and the buttons are finely worked with star motifs in two shades of thread. 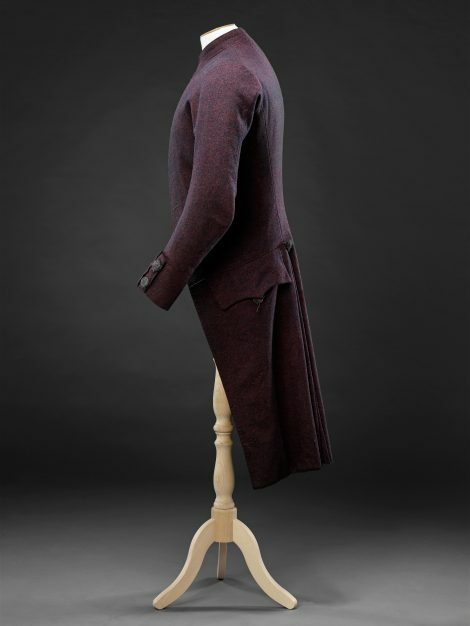 In common with most wool coats of this era, the cloth of both coats is dense enough for the edges to be cut and left raw.